A couple of days ago, I wandered the woodland area of my neighbor’s rural land, looking for spring wildflowers. A great outing and many species of wildflowers were observed during this hike. 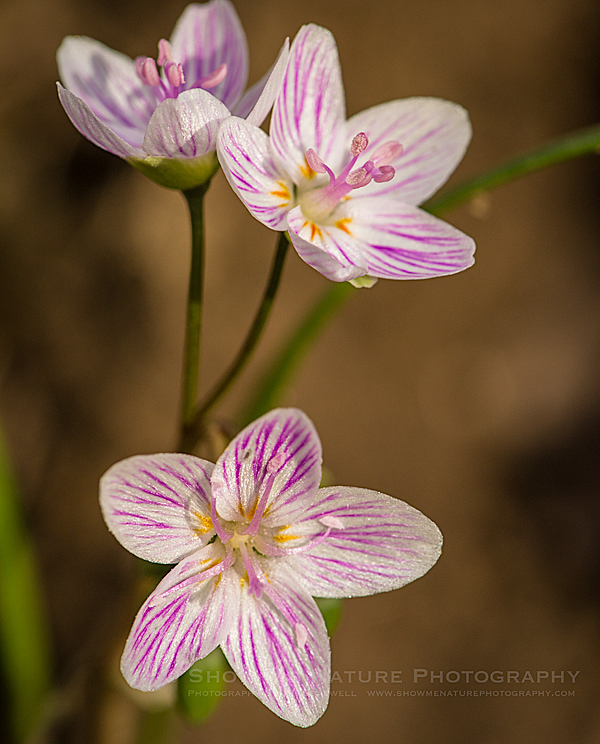 In today’s post, I’m featuring a couple of images of one of our earliest woodland wildflowers, the Spring Beauty (Claytonia virginica). The Spring Beauty rises about 5-inches above the woodland floor, when flowering. The flower petals are typically white (some may be pinkish) and have a pink veins through the flower. Native Americans ate the roots of the Spring Beauty. 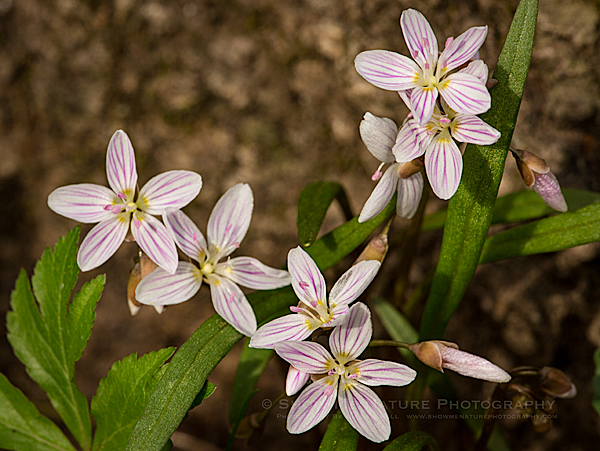 In upcoming blog posts, I will be publishing more woodland wildflowers that I captured during this week’s outing. Shutter 1/250 sec. and 1/90 sec. Tags: 2019, Blog, Cass County, macro photography, Missouri, nature, nature photography, photography, spring, spring beauty, wildflower, woodlands.